I was not disappointed with this first episode at all. "Deep Breath" was a great episode - from the classic chases to the Doctor's coping with his regeneration to the humor coming from Strax to the combined elements of DINOSAURS! IN VICTORIAN LONDON! WITH ROBOTS! Since I joined this fandom late and had a half-year period where I was just watching one Doctor Who episode after another, it wasn't until around February that I started experiencing how it was to be in the hiatus stage. This, as well as the reading of thoughts of other people on Doctor Who episodes, and that everything was going to be changed in this series, made me look on the entire show in a new light. I never realized how weird so many of the concepts in this show is. But it's brilliantly weird and just purely fun, and that's why Doctor Who is so great. It takes someone who likes sci-fi to get into the show, but once you're in, you're going to be on a wild (and emotional) ride. I really loved that we got to see a different type of reaction to regeneration, one that forces out a lot more the question of what it really means for the Doctor to regenerate. While the Tenth Doctor was asleep most of the time, and Eleven got some spasms and had new taste buds, the Twelfth Doctor acts erratic and questions why he looks the way he does. There are a ton of nods to past Doctor Who when it comes to the Twelfth Doctor trying to figure out who he is - the Fourth Doctor's scarf, Amy, the Impossible Girl, and even Peter Capaldi being in Doctor Who before in "The Fires of Pompeii" ("I've seen this face before. Why did I choose this face?"). At first, I wasn't sure how I liked the idea that Clara didn't feel that the Twelfth Doctor was the Doctor (her being the Impossible Girl and having seen all his other regenerations and all), but in the end, it did work. This way, Moffat took us on a journey of figuring out whether we accepted this new and utterly different Doctor, instead of accepting him almost right away as with the previous Doctor. I know I liked the Doctor from the moment he opened the Tardis door and hoarsely whispered, "Shush", but I didn't fully accept him until that second-to-last scene. And can I just say - the second-to-last scene? I had already heard rumours about this scene over a month ago, so the cameo appearance wasn't a surprise, but it was still just as beautiful as it would have been had I been surprised. I don't want this episode review to be too much of a spoiler, so I'm not going to say who it is, but... man. Moffat definitely knows how to squeeze out a scene until there are no feels left in it and you can move on. Then that last scene? Well, let's just say I wasn't expecting that. But all I'm going to say is that I can't wait for Saturday! There was one problem I had with this episode - and that problem revolved around Jenny and Madame Vastra. Anyone who has previously watched an episode with this pair will know exactly what I am talking about. Usually, I am glad when the Paternoster trio (Vastra, Jenny, and Strax) step in - mostly because the former two can definitely handle the bad guys, and the latter is there for comedy. However, this episode, Moffat went a little too far with the lesbian thing between Vastra and Jenny. After hearing some vague rumours on the Internet (I didn't check it out because I was trying to keep away from spoilers), what happened in the episode wasn't as bad as I thought it was going to be, but it was still pretty bad. "I hate being wrong in public. Everyone forget that happened." now. And he... he needs you." can't see me. Have you any idea what that's like? front of you. Please, just... just see me." 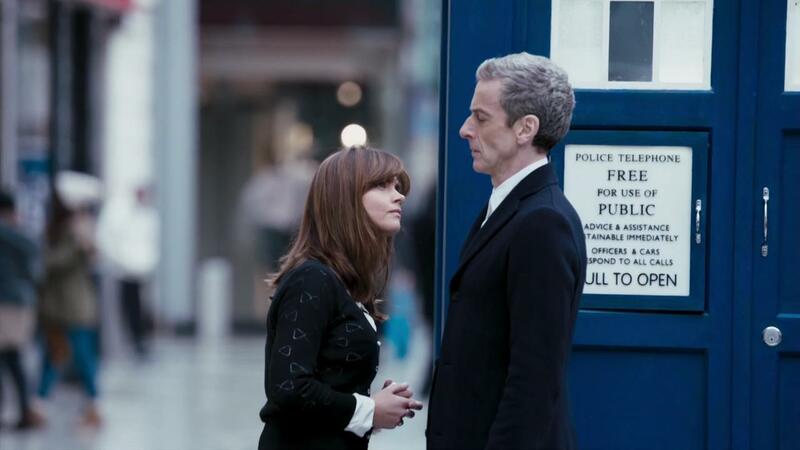 The Doctor and Clara’s interaction is, by far, my favorite part of the episode. The references to the "The Fires of Pompeii" and “The Girl in the Fireplace” were a lot of fun though! 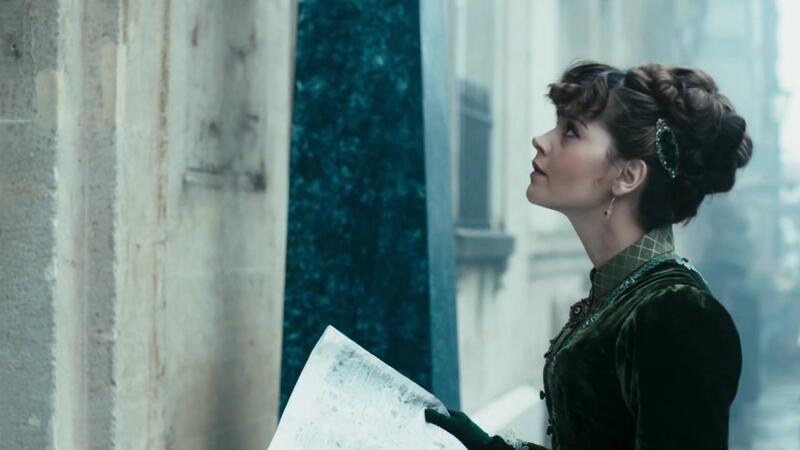 Overall, I had some problems with the episode, mostly the Paternoster Gang, and I had the same issue that you had some about Vastra and Jenny. Great review! Glad you enjoyed it! Yes, I loved those references! I actually didn't catch that the droids were linked to "The Girl in the Fireplace" until close to the very end, but after rewatching the episode, I can't realize I missed that. I really hope that Moffat doesn't try something like that again... I usually love seeing the Paternoster Gang. Very nice looking blog! I was less enthusiastic than you but the opener had a lot of good in it. 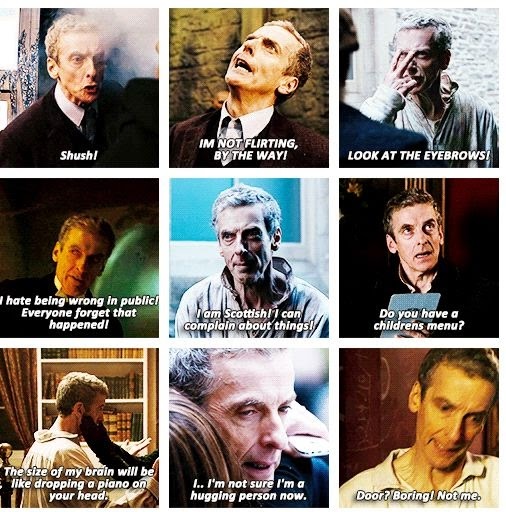 I'm looking forward to a more calmed down Capaldi though. Jenna Coleman benefitted a lot from the new direction. Welcome to my blog! :) Yeah, I'm looking forward to a more calmed-down Capaldi because I think he'll be much more darker and mysterious that way. I also think Clara's character has benefitted from this change.